Hello, we're so excited that you're joining us! Step 1: Register for the challenge here on our Devpost page by Tuesday, June 21st. Step 3: If you don't know any coders or those with business, marketing, design, etc. skills, then look through the participants and see if there is anyone of interest. Contact them and inquire about forming a team. Don't be shy and be sure to come back and look daily. Also post on our Discussion Board what you're looking for so that someone can connect with you. 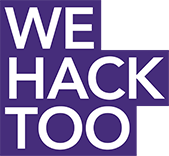 Don't been intimidated by the word "Hackathon" just contribute what you're good at. Step 4: If you live in near San Francisco, San Diego, Los Angeles, Detroit, Chicago, or NYC and are interested in attending our one day event, please follow our instructions under "Eligibility"
Don't be shy about connecting with others on the site. This is what it's all about, meeting new people and having new experinces. Join us and have a great time learning and growing!